Are you ready to get started with cleaning with essential oils? This beginner’s guide will have you on your way to a more natural home in no time! 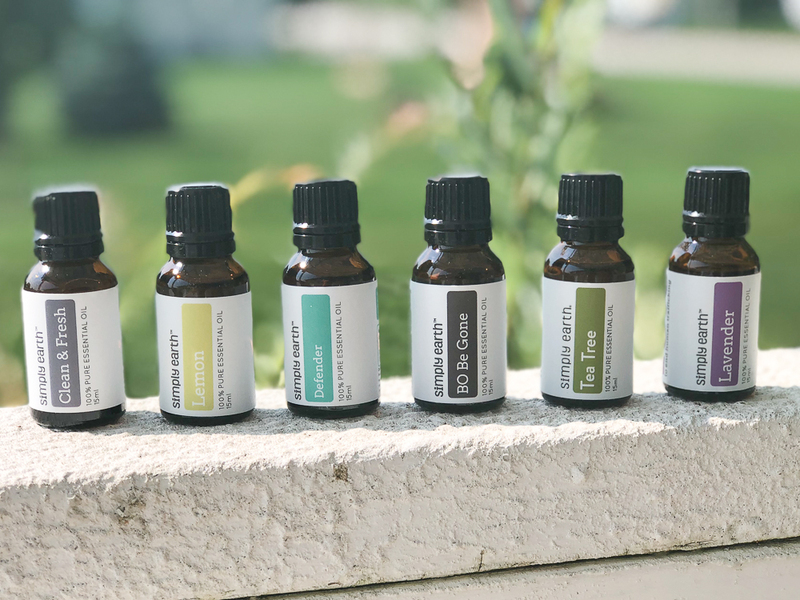 Essential oils are becoming more and more prevalent in households everywhere. In our house, we use essential oils for skin care, natural remedies and aromatherapy. However, our favorite way to use essential oils is for cleaning. Cleaning with essential oils allows you to eliminate the harsh chemical cleaning smell from your weekly cleaning routine. I am not going to tell you it makes me want to clean more but it does allow to me clean in one go and without needing to open every window in the house! This post contains affiliate links. This means we may earn a small commission if you purchase through these links. Thanks for your support. What essential oils should I use for natural cleaning products? 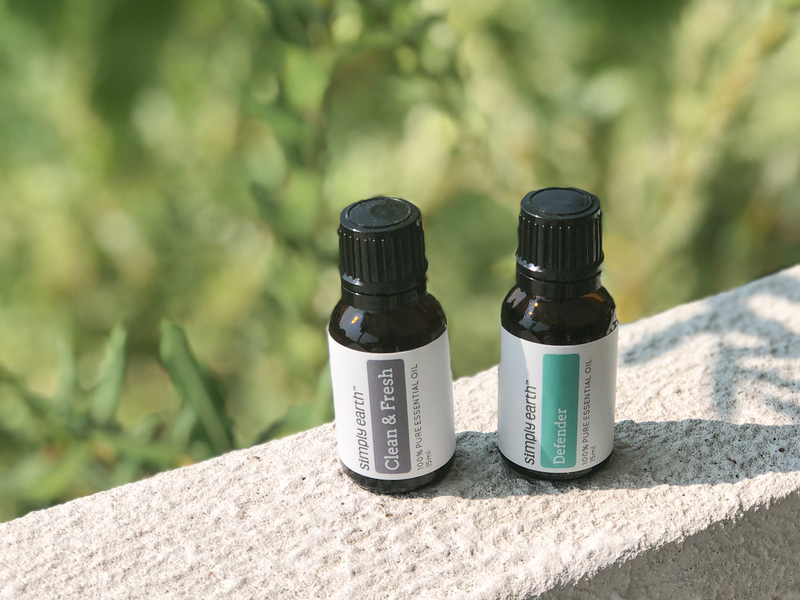 There are many essential oils that have antibacterial properties but I’ve found it’s best to ease into the converting your home over to natural cleaning. Not only are the oils mentioned below cleaning powerhouses but they are also incredibly easy to source! You will find to a link to my preferred brand below. Lemon Essential Oil – The holy grail of essential oils for cleaning. Not only is lemon essential oil antiseptic, antifungal, and antiviral, but it has a fresh clean scent that simply reminds you of a clean house. Plus, the scent is energizing and uplifting, making it great for house cleaning day! Tea Tree Essential Oil – You may remember this essential oil from childhood. My mom kept it in the house for treating cuts and wounds. I remember it being recommended for use when I got my ears pierced. The antibacterial properties of tea tree oil make it an effective wound healer. It’s also anti-fungal and antiviral making it a good choice for natural cleaning products. Lavender Essential Oil – This essential oil of has disinfectant properties and is antimicrobial and antiseptic. Long before the antimicrobial properties of lavender were main stream, it was used for cleaning purposes. The word lavender itself comes from lavare, meaning “to wash.” Of course, almost everyone loves the delicate smell of lavender, so in addition to it’s powerful cleaning properties it leaves behind a wonderful scent too. 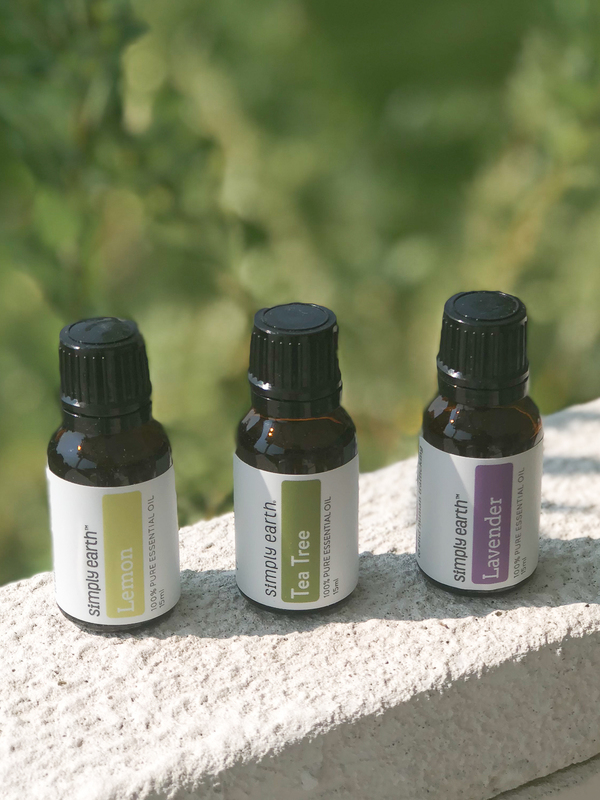 Get all three of these oils plus three other cleaning blends from Simply Earth. 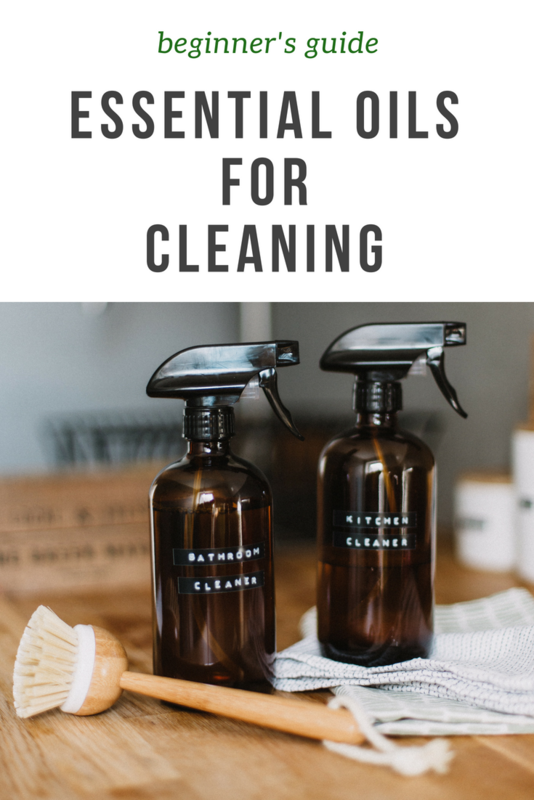 Perfect for those getting started on cleaning with essential oils! If there is one essential oil cleaner recipe you try from this post, let it be this one. This all purpose essential oil cleaner is a magic worker. I use it all the time. It’s a great choice for keeping in the kitchen as it cuts grease and cleans counters beautifully. Want to know where it really shines though? Microwaves! If you are anything like us you open the microwave one day and it’s like whoa, where did the mess come from?! You can wipe away everything when you use this cleaner. It’s seriously magic in the microwave. I actually don’t dread that chore anymore because I know it’s always going to come clean. Put in spray bottle and shake well before using. Word is getting out about the toxicity of traditional dryer sheets. Though they smell good and soften your clothes, they can be harmful to your health. Good thing there is a natural alternative: wool dryer balls with essential oils. Wool dryer balls actually help to speed up drying time by mixing and mingling with laundry and keeping it separated for optimal drying. You can use the dryer balls on their own but everyone loves good smelling laundry so adding essential oils gives you that fragrance you love. The wool dryer balls need room to work so don’t pack your dryer completely full and use 3-4 balls depending on load size. Drop essential oils onto balls (about 5 per ball) and let sit for 10 minutes to soak in. Throw dryer balls into load and your on your way. Warning, depending on where your dryer vents to, your neighbors might stop over to see what that amazing smell is! You’ve cleaned all the surfaces in your house but what about the air? This Clean Air Diffuser Recipe features Defender blend from Simply Earth. The Defender blend aids in the regulation of our body’s natural fluid balance and serves as an antioxidant to help remove damaging free radicals within our cells. It kills airborne microbes, bacteria, viruses, and fungus, and inhibits their growth, thus improving immune function! Fill diffuser with water according to directions and add essential oils. Diffuse for 1 hour. Do you ever clean the bathroom and become overwhelmed by the chemical cleaning smell? So much so that you need to take a break and get out of the room? It’s true you need a good disinfectant in the bathroom but prolonged exposure to these cleaners can be harsh on your body. Enter this essential oil toliet bowl cleaner recipe. It combines the cleaning power of tea tree and lavender essential oils with the scrubbing power of baking soda. Pour everything in a spray bottle and shake before each use. There are many good option out there and I recommend you do your research and choose a brand that offers high quality oils. I use and 100% recommend Simply Earth essential oils. This Wisconsin based company offers quality oils (GC/MS tested) at very reasonable prices. Plus, they are a social good company. Simply Earth supports the fight against human trafficking.The average age of an individual forced into human trafficking is 13. That’s why when you shop at Simply Earth, 13% of profits go to help fight human trafficking. Each month they highlight specific organization they supporting, you will always know where a portion of you sale goes. The Cleaning Boxed Set features Lemon, Lavender, Tea Tree, Defender Blend, Fresh & Clean Blend, and BO Be Gone Blend. 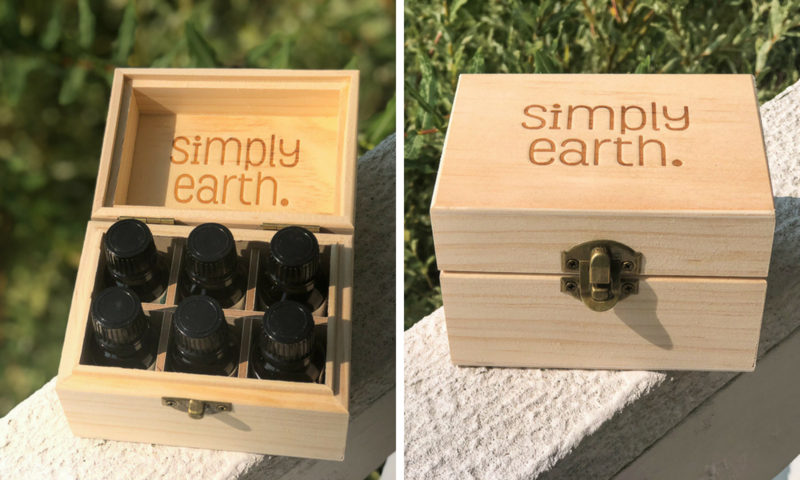 Plus, a wood box to keep your oils organized and safe in the cleaning cupboard. Do I have to use distilled vinegar? The smell out-powers everything! Distilled vinegar is an important part of many essential oil cleaning recipes; it’s tough on bacteria, mildew and dirt. However, many people detest the smell. The good news it, the vinegar smell generally dissipates quickly and you’re left with the essential oil scent. Yes. Here’s why: Other water can be contaminated… with bacteria. Even if that bacteria isn’t harmful to you, it can cause your home natural cleaning product to go bad. As in, grow mold when left at room temperature. Distilled water is also referred to as “dead water” and really means, there is nothing living in it. No bacteria or other things that could grow into some other thing. Another option is boiling your tap water before using. What else do I need to create homemade essential oil cleaning products? What are you favorite ways to use essential oils for cleaning purposes? Leave your recipes in the comments!